Anonymous FTP is available on Windows Dedicated Servers only, and is not currently available on Windows Shared Hosting plans such as Personal or Enterprise. 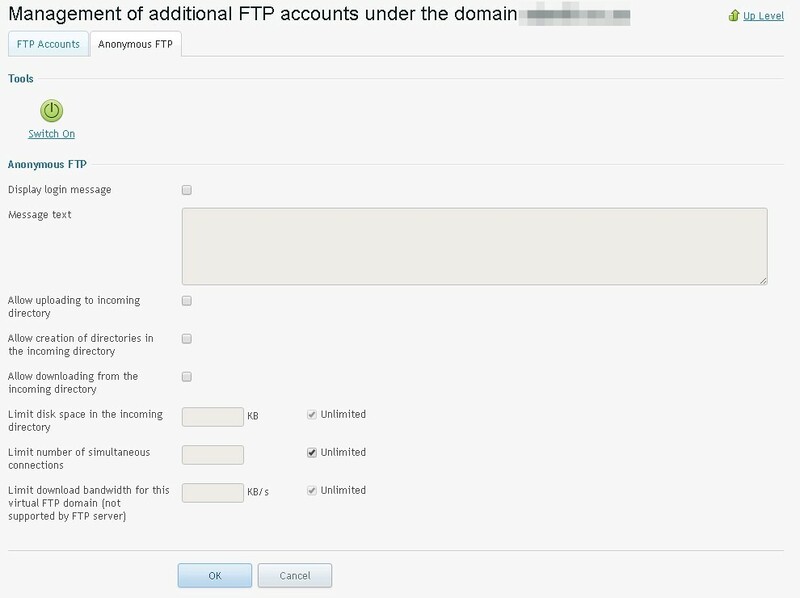 Anonymous FTP access allows anyone to access a specified directory within your site, allowing unidentified visitors to download (and possibly upload) files on your website. Anonymous FTP creates the potential for a security hole for hackers and is not recommended. Please Note: Anonymous FTP can only be set up if there is a Dedicated IP setup on the account. Now click on FTP Access.